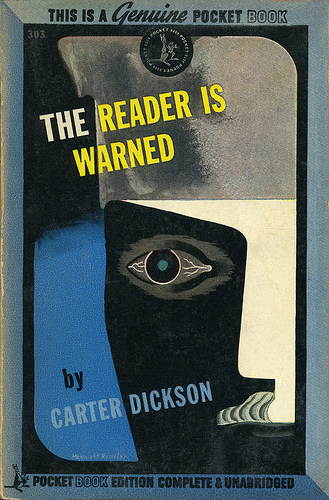 Author: Carter Dickson, the best-known pseudonym of the late great John Dickson Carr, a Grand Master of the mystery genre. 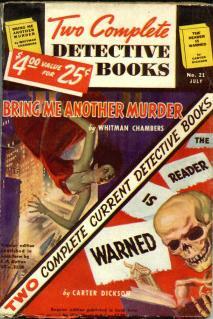 Publication Data: 1939, William Morrow, first US is possibly the true first, although it may be the Heinemann edition (UK), of similar date, upon which I am unable to obtain reliable information. First paper is the beautiful Pocket #303 from 1945, which is worth looking at; unfortunately I have a policy of showing the book which I actually read, and the Berkley Medallion (F972) edition, 1964, was the one at the top of a random box of books. Mine is in a lot worse shape than the picture here and might be worth the $2 I seem to have paid for it. 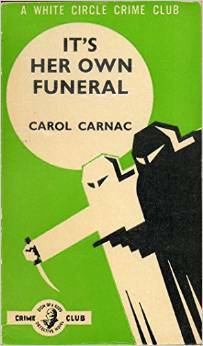 As is occasionally and regrettably the case, this cover gives a small clue to the identity of the murderer which is not justified by its contents, and that’s all I’ll say here. 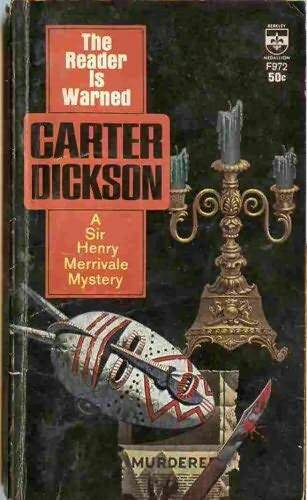 The subtitle is “A Sir Henry Merrivale Mystery”, which just about says it all for a certain category of John Dickson Carr (JDC) fans. 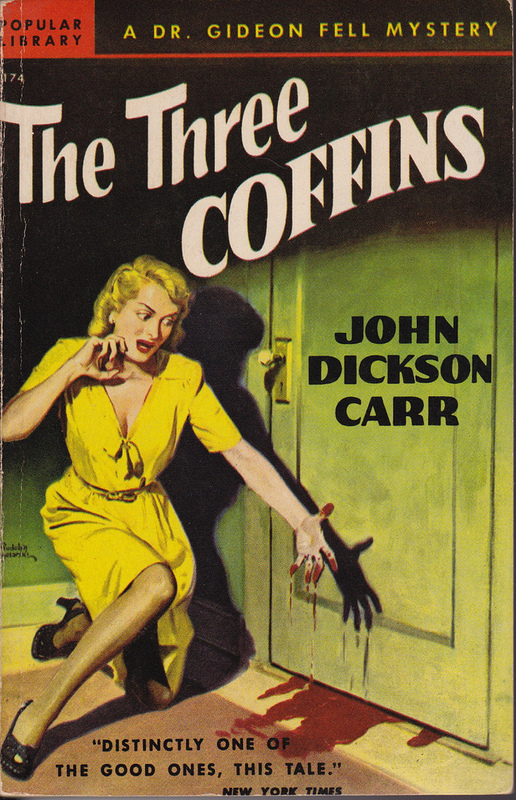 JDC, of course, wrote at a furious rate for many years as both Dickson and Carr, with multiple books yearly for many years. Both his series protagonists were nearly the same character; Carr’s Gideon Fell a heavy-set British upper-class amateur, and Dickson’s Sir Henry Merrivale a heavy-set British aristocratic dilettante. Both are irascible, brilliant and magnificently logical. The main difference is that Fell’s books are rarely even remotely funny, whereas Merrivale’s (although the earliest works are serious and eerie indeed) began to contain more humour and continued to outright farce in the later works. 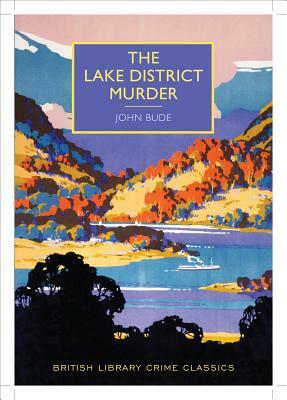 This is the 9th Merrivale novel (in five years!) and the broad streak of JDC’s low humour that once a novel involves Sir Henry in some sort of slapstick calamity has not yet begun to manifest itself. Nevertheless he has already started to harumph and bumble and sputter, although it is still at a mercifully small level. He calls women “my dolly” and men “my fathead” and is, all in all, a very Chestertonian figure — although he gets very stern and implacable near the end of each book as he’s pinning the crime inexorably to the criminal. 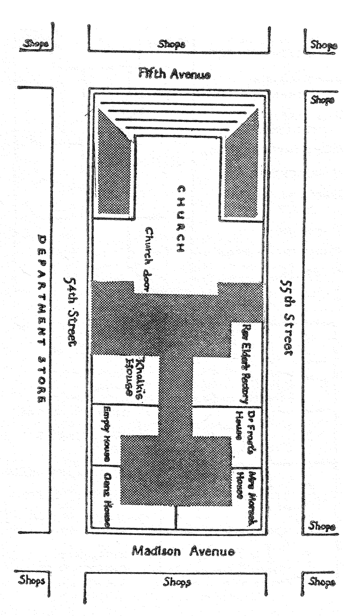 JDC’s style was such that H.M., for so is he referred to, is offstage for the first third of the book while the stage is set and the characters are sketched in. 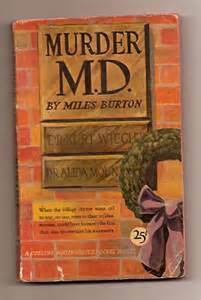 His arrival is usually immediately after the murder; he takes charge, terrorizes the local police and Scotland Yard and finally solves the crime. There is usually a great deal of frenetic activity and some of the subplots of the books are quite eerie, in a Gothic nightmare kind of way. 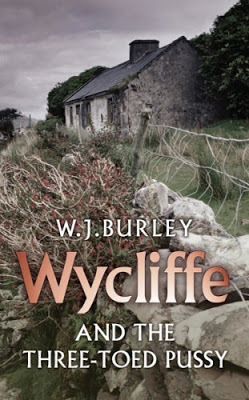 H.M. (and his cognate Dr. Fell) always brush away the cobwebs of the supernatural which JDC so effectively raises and show that there is a logical, sensible, scientific solution to the impossible problem which has developed in the course of the novel. 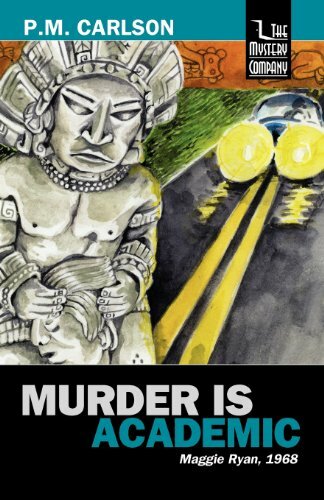 Since JDC’s strict-form detective works are always based around a central “trick”, a set-piece of mystification by which the murder is accomplished, the aficionado finds himself describing the individual books in a specific way. 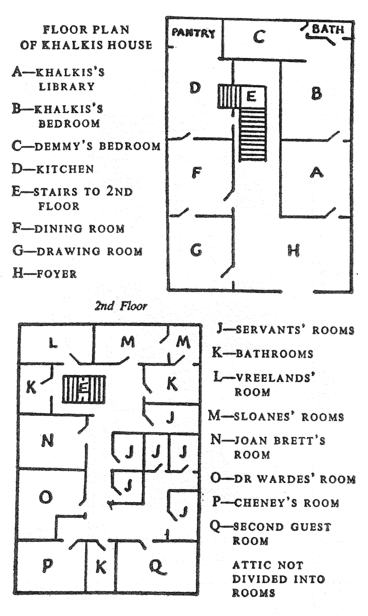 “This is the one about …” The characters are unmemorable and interchangeable, the locations vague and unspecific, and the motives usually banal or incomprehensible, but the set-piece reigns supreme, and only by mentioning it will you be able to trigger a recognition of whether your listener has read the novel or not. Thus, “this is the one about” — Teleforce, and the guy who seems to be killed at the top of the stairs with no one near him, with witnesses observing from a number of angles. Teleforce is the major subplot, about a man named Pennik who seems to be able to kill people at a distance using some sort of mental power. The combination results in the host of a country-house weekend party, a wealthy man with an intelligent wife who writes murder mysteries, being threatened by Pennik and then dying for no apparent reason in full view of witnesses. There is a great deal of hugger-mugger about Teleforce and whether or not Pennik can be prosecuted for killing his host. JDC in this novel puts in a good deal of excellent work building the picture of the British national press going doolally about Teleforce, with the passion with which they today might greet a two-headed Royal heir, or Jade Goody. H.M., of course, sees through all the foofaraw and brings the crime home to the extremely surprising murderer, in a dramatic denouement. This is not first-class Dickson; that honour belongs to the earliest books from 1934 and 1935. It is, however, a good example of second-class Dickson. 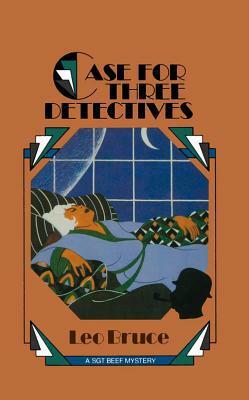 There is a nearly impossible puzzle, interesting characterization, significant misdirection (although here not with the overtones of supernatural occurrences, a hallmark of JDC) and, as happens a handful of times in the novels, a sexual frankness which is extremely unusual for detective fiction of the period. The murderer not only engages in sexual activity which was extremely inappropriate for the times, but appears to take physical pleasure from the physical pain of others. 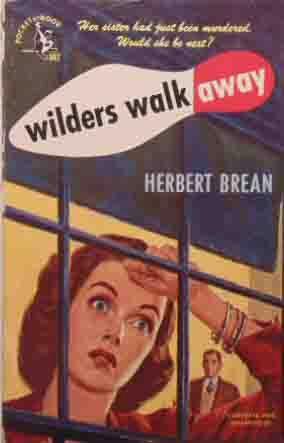 (In the ending, the murderer contemplates with pleasure the prospect of torturing a minor character with lit matches before killing her.) 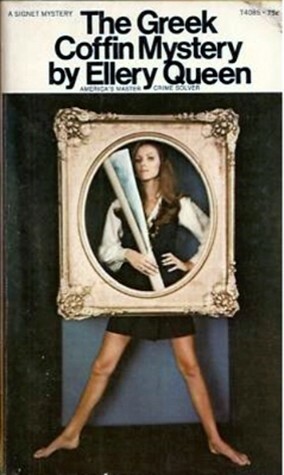 And it avoids the twin errors of the later Dickson books, poorly-written farce that breaks the action and characterization which is at the level of gossamer and cardboard. 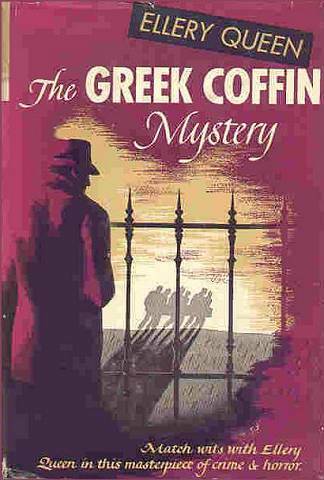 As an aside — I have recently made the acquaintance of an extremely intelligent reader who has well-developed literary tastes which hitherto do not seem to have included much of detective fiction, although she does read with pleasure Henning Mankell and a few others. I intend to try this on her and note her reactions, if she cares to share them with me. 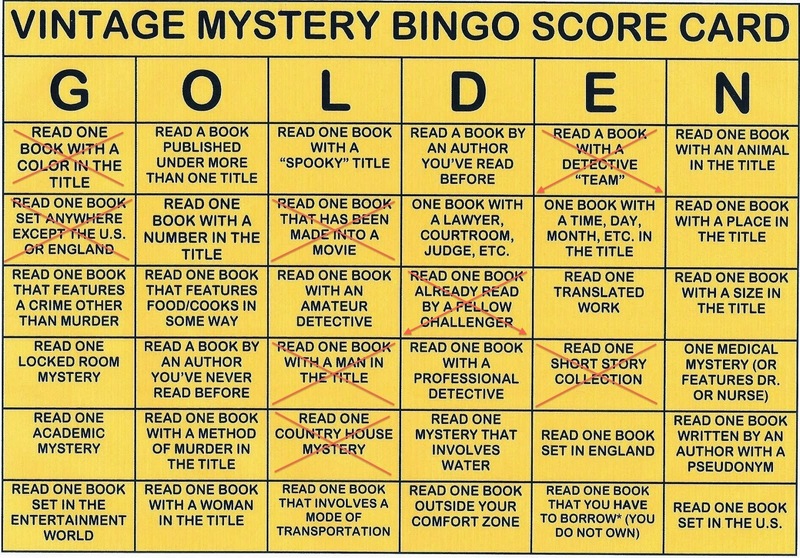 I will be interested in her point of view about whether the puzzle mystery at this recherche level of the “impossible crime” subgenre is capable of interesting a reader from a more “art fiction” background than JDC’s fans will usually share. Abebooks.com offers a VG US 1st (William Morrow) for $400, which seems excessive except that one of the few other such copies for sale notes that this is a “very scarce first edition”. This apparently means that a Fair ex-library copy will cost you $100. Yikes. 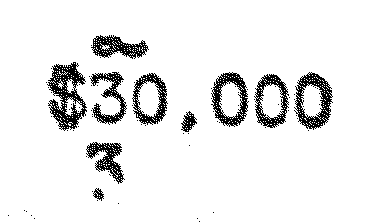 Perhaps a better investment is the first paper, Pocket #303. What sounds like a beaten-up copy will set you back $45.95, but the cover is an exquisite abstract design in shades of blue and grey, and I suggest that this is the most collectible edition. That means that paying a premium for a copy in great condition will never let you down — $60 for a crisp copy of this would be very fair and I am pretty sure it will hold its value. 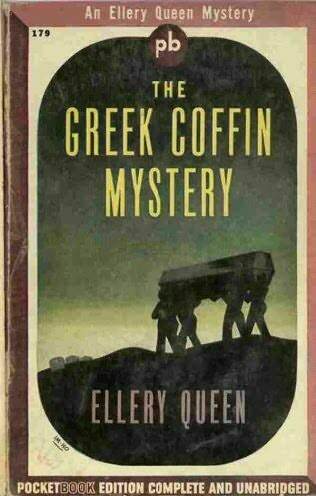 There are a number of other paper editions of this title from smaller presses, which I always felt to be scarce; certainly the average mystery bookstore will always have a waiting list for a couple of reading copies. First UK paper is Penguin #812, a typical greenback, and they certainly hold their value well. The IPL (International Polygonics) edition from 1989 seems to me to be priced on Abebooks far beyond its actual worth and somebody in Grand Rapids, MI wants $107.15 for a Like New copy. As I recall, it sold for about $10 and the typical IPL edition was poorly constructed. 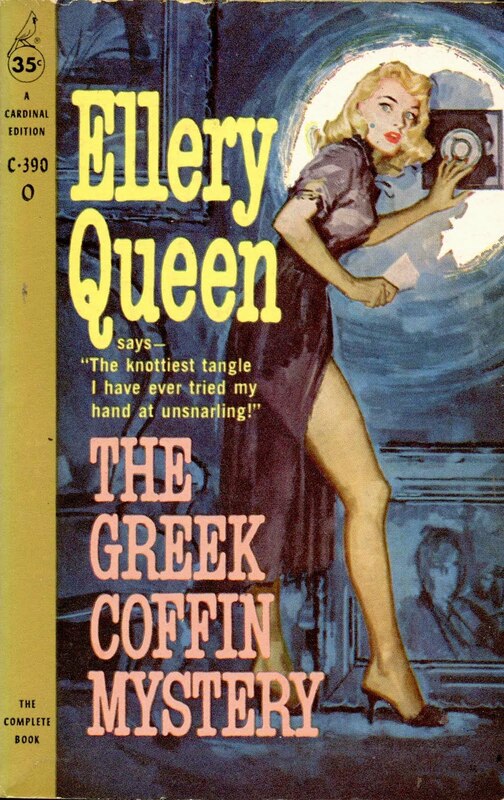 Its cover is certainly as significantly undistinguished as that of the average IPL paperback, which tend to the mawkish and badly-drawn efforts of a company that cannot afford better. If there are IPL collectors, I’ve never met one and I can’t think of what’s attracting them. So save your $107.15 and get a really good copy of Pocket #303 as an investment. 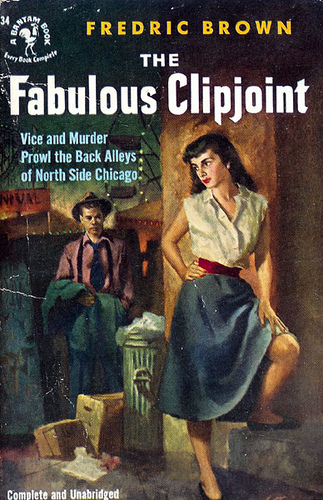 One interesting-sounding edition that I haven’t personally examined is in the July, 1943 edition of Two Complete Detective Books pulp magazine (#21). But ho boy, the cover looks great! A few days later, it occurred to me that I had been unfair to IPL in the paragraphs above. I can remember being sincerely grateful for bringing books back into print which I badly wanted to be in print, copies of which were scarce or impossible or ludicrously expensive before IPL came into being. 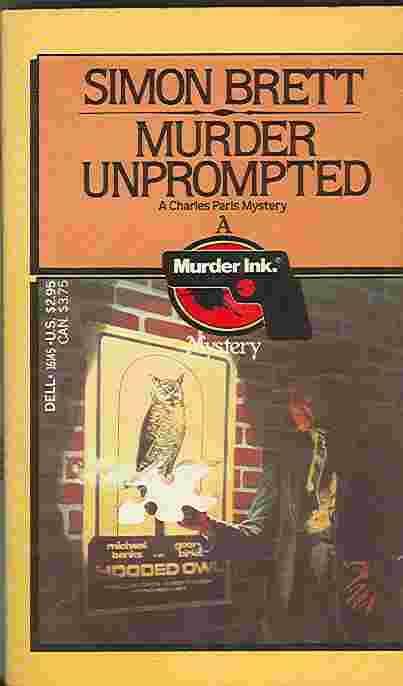 Clayton Rawson’s Death in a Top Hat, for instance, was only available in a low-numbered and horribly expensive Dell mapback edition. Et cetera. So, yes, their covers were awful and their production values were shoddy. But thank you, IPL, for doing the sincere service of introducing a generation to writers like Clayton Rawson and Carter Dickson whose lesser-known works might otherwise have passed beyond resuscitation. Your list was superbly well chosen, highly knowledgeably managed, and I am sorry you are no longer with us.